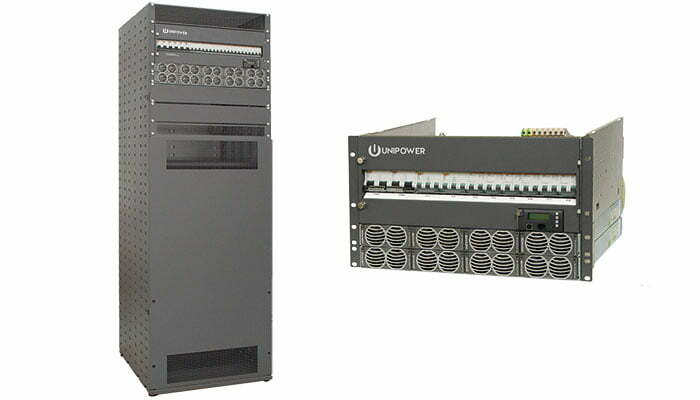 UNIPOWER Dual Voltage DC Power Systems for the Telecom Wireless industry include the Guardian Dual family which is available in 19″ rack-mount, 23″ rack-mount and floor standing cabinet configurations. The 23″ and cabinetized configurations provides outputs of -48VDC with a capacity of 360A and +24VDC with a capacity of 250A. The 19″ configuration is provides -48VDC at 300A and +24VDC at 187.5A.